It’s that time of the year again where we celebrate the movers and shakers in South Africa’s glorious music industry. 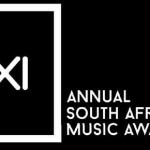 The 21st edition of the South African Music Awards – aptly titled SAMA XXI is a few days away and things are getting heated in the build up to the extravaganza. Of course what’s an award show without its fair share of controversy and this year is no different. While hip hop has taken its long awaited seat on the throne of recognition, it hasn’t come without hiccups. Cassper Nyovest’s massive hit Doc Shebeleza was shockingly left out of the Song of The Year category, much to the dismay of the rapper and his fans. Was the ball dropped on this one or was there a deeper reason to it all? 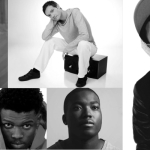 IDM Mag caught up with music stars and nominees Black Motion and Cuebur to find out how they felt about the award show, who they’re rooting for and what they’d say if they had the opportunity to rush the stage Kanye West-style. If you could create your own category to be nominated in, what would it be and who else would be nominated alongside you? Black Motion: It would be Best Performance and we would be nominated alongside Beatenberg, Riky Rick, Cassper Nyovest and K.0. Cuebur: I’d create a category for Best Mixed and Mastered Dance Album of The Year and I would nominate Martin ‘Atjazz’ Iverson. Looking back over the two decades of SAMAs, is there any artist you feel deserved more SAMAs and greater recognition? Black Motion: People that were making disco music back in the days and also the people that created the culture of kwaito music. Cuebur: Yes. I really feel that Ladysmith Black Mambazo deserved more. How relevant and important are awards and accolades to your career as an artist? Black Motion: The awards are relevant and important because it builds up our portfolio both at home and in the rest of the world. Cuebur: Being nominated for SAMA XXI is a big thing. It changes the way people see you as an artist. 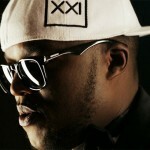 This year at SAMA XXI hip hop has dominated the nominations list. This is a title that was previously reserved for house music and its artists. 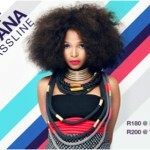 Do you think it was time for a change in the South African musical landscape? Black Motion: It’s not about time but rather about people accepting the craft and genre of hip hop. People are finally understanding it because the artists have made it easy for people to relate by sampling old kwaito songs and using more vernac in a way that appeals to everybody. Cuebur: Change is good. The guys and girls in the Hip Hop industry have come a long way and they’ve been pushing really hard to get where they are today. I really feel that in the last few years the House music industry was too relaxed therefore making Hip Hop more dominant within the urban market. Speaking of hip hop, everyone is talking about the omission of “Doc Shebeleza” by Cassper Nyovest. Did SAMA XXI make a mistake with this one or is there something we’re missing? Black Motion: We always say good music is not about being played on every radio station in SA or every car on the street but about the feeling you give people. The quality is not based on how famous you are, there are a whole lot of artists in SA that are being played overseas and nobody knows about. It’s like the fact that Dr Dre is a fan of our own duo, Goldfish and they have never even won Song of The Year yet they’re still passionate about making good music. Cuebur: Doc Shebeleza was one of the most played songs last year. I think it deserved a nomination of some sort? So then lastly, with this in mind do you think SAMA XXI should have been voted for by the fans or picked by industry leaders and professionals? 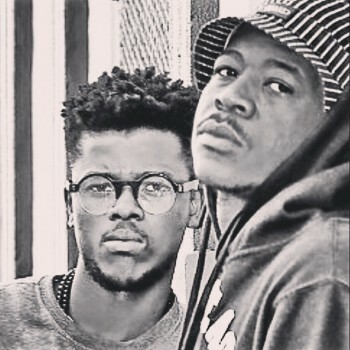 Black Motion: The awards should be judged by both fans and professionals, on the fun and lighter side of music the fans should have their say. But with technicality – like the effort, the type of vocals and the indigenous instruments used – that decision should be made by the leaders and the professionals. SAMA XXI goes down on Sunday, 19 April 2015.
Who do you think will be the biggest winner of the night? 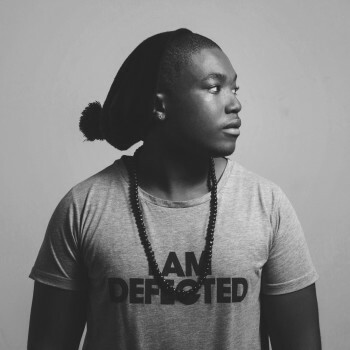 Top 5 SA House Producers 2014 Right Now! 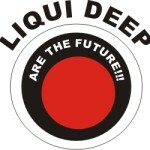 Interview: Liqui Deep Are The Future!!! Recovering blueberry muffin addict, dj, remixer and voice over artist, Luo first firmly sank his teeth into music while working for Rhodes Music Radio (RMR 89.7fm) in 2009 and has never looked back since. Now a loyal disciple of all things deep and soulful, He can be found roaming the streets and alleyways searching for his next dose of good 'ol house music.